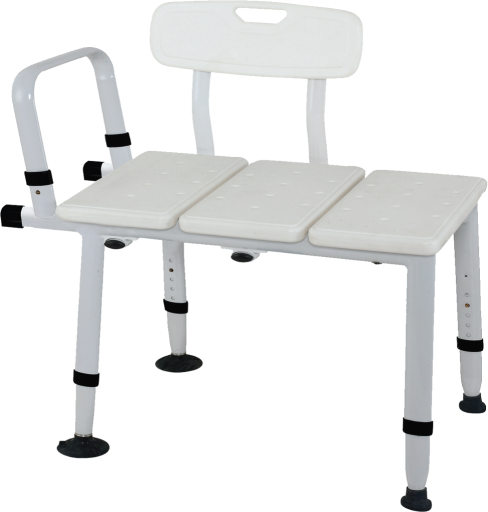 This Bath Transfer Bench features full length seating, a moulded plastic seat with drainage holes, and sturdy oval tubing. The backrest is detachable and is able to be mounted on either side depending on the application. Optional longer extension legs are available to help balance the bench if needed. High weight capacity of 160kg.